The scientific evidence implicating heavy metal toxicity in heart disease is growing and researchers are advocating for treatment with EDTA chelation therapy. 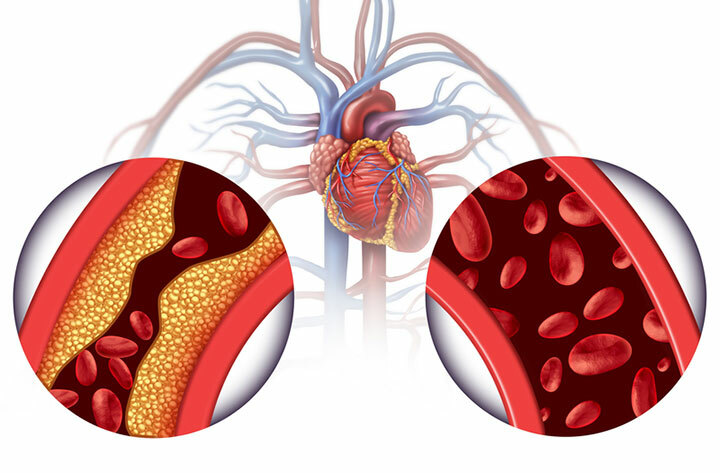 Chelation therapy is especially warranted for patients who have both diabetes and coronary artery disease. It’s time for conventional medical providers to get over their denial about the role of mercury and other toxic heavy metals in causing cardiovascular disease (CVD), says a group of researchers from Mount Sinai Medical Center, New York University School of Medicine, and Columbia University. Furthermore, they conclude, mainstream medicine should consider treating atherosclerosis and CVD by using EDTA chelation therapy to remove toxic metals from the body. In a new article published in the American Heart Journal, the researchers identify and review the top four heavy metals involved in clogging the arteries, leading to heart attacks, strokes, and other CVD events: lead, mercury, cadmium, and arsenic. Increased death from CVD is strongly associated with bone lead levels. People with the highest bone lead levels are nearly 10 times more likely to die of ischemic heart disease than those with the lowest. Lead levels are directly associated with higher blood pressure, cholesterol abnormalities, and atherosclerosis (plaques clogging the arteries of the heart). Lead from food, water, air, gasoline additives, food-can soldering, lead-based paints, ceramic glazes, drinking-water pipe systems, and contaminated supplements gets inhaled or ingested and then absorbed into the bloodstream. While some gets excreted from the body via urine, sweat, hair, and nails, absorbed lead is also stored in the body for decades, continually released from bone and other tissues back into the blood. Many older houses have high lead levels in dust, and lead particles suspended in the atmosphere represent sources of continual exposure. Blood lead levels represent only recent short-term exposures and account for approximately 1% to 5% of total body lead burden; the rest is stored in bone and other tissues. A technique called noninvasive x-ray fluorescence of bone is the most accurate way to assess body lead burden, but this test is rarely performed. A high level of mercury exposure is directly associated with heart attack risk and death from CVD; men in the highest third of hair mercury content when compared to the lowest third have a 69% higher risk of heart attack and a 109% higher risk of death from CVD death. Mercury from contaminated fish, dental amalgams, cosmetics, latex paint, thimerosal-containing vaccines, and environmental sources gets inhaled, ingested, or absorbed through the skin into the bloodstream. While some is excreted from the body via urine and bile, some absorbed mercury is distributed to all organs and tissues including the brain. Mercury exposure can be measured in the hair or urine. Cadmium, considered one of the most toxic environmental pollutants, is also directly associated with death from CVD. Blood cadmium level is indicative of recent exposure while urine cadmium reflects mainly total body burden. Every two-fold increase urine cadmium levels is directly associated with a 21% increase in risk of death from cardiovascular disease in men. Risk of high blood pressure, stroke, coronary artery disease, and peripheral arterial disease is directly associated with cadmium levels. Cadmium exposure occurs through inhalation or ingestion of contaminated food, drinking water, inhalation of polluted air, occupational exposure, and tobacco smoke. Smokers have cadmium levels that are at least twice as high as those of nonsmokers. Once absorbed, cadmium gets processed through the liver and then stored for decades in bones, kidneys, and other organs. Long-term exposure to even low levels of arsenic is directly associated with risk of CVD and CVD mortality, including deaths from coronary artery disease and strokes. Arsenic exposure comes mostly from food, contaminated fish, tobacco smoke, arsenic-treated wood, and drinking water. Arsenic gets inhaled or ingested and then absorbed into the bloodstream. Measurement of blood arsenic can only be used to assess a very recent exposure; urine is considered to be the most reliable body sample to detect arsenic exposure. Through a detoxification process in the liver called methylation, some arsenic gets transformed into water-soluble compounds that get excreted in the urine. However, many people have impaired methylation and for those in whom arsenic methylation is impaired, the risk of CVD is significantly higher. The researchers also reviewed the recent Trial to Assess Chelation Therapy (TACT), a clinical trial of heavy metal EDTA chelation therapy for reducing cardiovascular events in people with previous cardiovascular disease. Chelation therapy has been used to treat CVD since the 1950s. 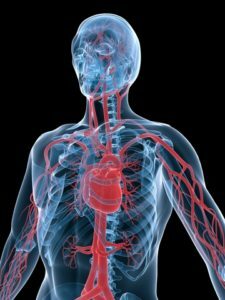 TACT tested the results of 40 EDTA chelation therapy sessions versus placebo in thousands of patients who had suffered a prior heart attack. Intravenous EDTA chelation therapy significantly reduced CVD by 18% in all subjects and by 41% in those with diabetes. According to the researchers who reviewed the trial, TACT provides strong support for the conclusion that toxic heavy metals are a treatable cause of heart disease. Chelation therapy is especially warranted for patients who have both diabetes and coronary artery disease, they concluded. Furthermore, there should be more research to fully assess the public’s exposure to toxic heavy metals and increased public health measures to minimize exposures. Could EDTA Chelation Therapy be Helpful for You? If you want to know if testing and treatment, such as EDTA chelation therapy, for heavy metal toxicity might be appropriate for you, you’ll want to start by finding a physician well-trained and experienced in intravenous chelation therapy. You can use the “Physician+link” feature on ACAM’s website. Have you tried EDTA chelation therapy? How did it work for you? This post originally appeared in 2014 and has been updated. Am Heart J. 2014 Dec;168(6):812-822. Circ Cardiovasc Qual Outcomes. 2014 Jan;7(1):15-24.
artery disease, atherosclerosis, blood pressure, bone, brain, cardiovascular, cardiovascular disease, cardiovascular disease, cause of heart disease, chelation, chelation therapy for heart disease, cholesterol, coronary, coronary artery disease, cvd, detoxification, diabetes, edta chelation therapy, food, health, heart attack, heart attack risk, heart attacks, heart disease, heavy metal toxicity, high blood pressure, ischemic heart disease, mercury, mortality, risk of heart attack, skin, stroke, supplements, tobacco.